WBA bantamweight champion Naoya Inoue is fired up as he begins his campaign to prove he is the world’s best boxer in the division. 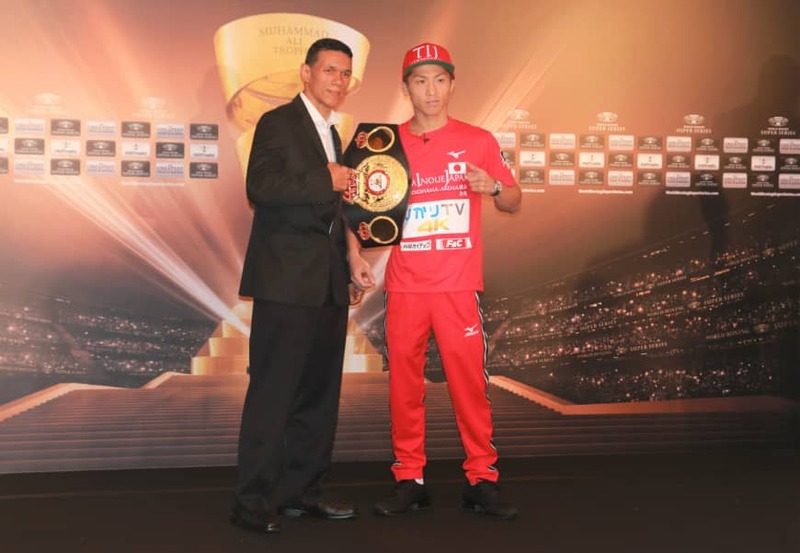 Two days before his World Boxing Super Series tournament debut, the 25-year-old expressed his excitement at getting into the ring on Sunday at Yokohama Arena, where he will face Juan Carlos Payano in the first round of the bantamweight competition. 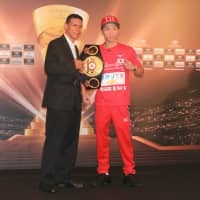 “As I’ll have my first WBSS fight against Payano, I know he’s a tough fighter who has established a long career, but I would like to perform my best and win,” Inoue told a news conference on Friday. Inoue owns 16-0 record (14 knockouts) as a pro and many have referred him as one of the strongest pound-for-pound boxers in the world. “The Monster” said that he does not take anything for granted, but wants to show the world that he is the best of the best in his weight class. But he is nevertheless determined to get past the local hero and lift the Muhammad Ali Trophy in the end. On the same card, WBA champion Kiryl Relikh of Belarus will square off against Russia’s former IBF title-holder Eduard Troyanovsky in the super lightweight quarterfinals. Both boxers have won the majority of their bouts via knockouts and their Sunday showdown is anticipated as a test of who will deliver more powerful blows. Troyanovsky is 27-1 with 24 knockouts. The World Boxing Series is a new concept in which champions and top-15 boxers from the major four sanctioning bodies (WBC, WBA, IBF and WBO) are eligible to compete. Its inaugural season was held in 2017-18 with the cruiserweight and super-middleweight divisions. The 2018-19 campaign includes cruiserweight, super-lightweight and bantamweight division tournaments held around the world. Among fighters participating in the bantamweight competition are WBA super champion Ryan Burnett of Britain, WBO champ Zolani Tete of South Africa and IBF title-holder Emmanuel Rodriguez of Puerto Rico. Each of these tournaments consists of an eight-fighter lineup. Tournament promoter Kalle Sauerland said that he felt amazing to be in Tokyo as the WBSS will be hosted in Japan, which he described as having “the richest boxing history in Asia,” for the first time. Sauerland, who described the tournament as “the champions league of boxing,” said that the Yokohama event will air live in over 120 countries. Also on Sunday’s fight card and separate from the WBSS competitions, WBC light flyweight champ Kenshiro “Smile Assassin” Teraji (13-0, seven KOs) will try to extend his title defense streak to four by beating the Philippines’ Milan Melindo (37-3, 13 KOs), who held the belt before him.